SIZE: 13 9/16" X 7 3/8". John Lodge Cowley Cowley (or John Lodge as he is generally known) was a professor of mathematics, and also a cartographer and geologist, Elected Fellow of the Royal Society, he became Cartographer royal to King George II. Mostly known for his mathematic works, he was also famous for his detailed maps of all English Counties. The magazines of London. c1725 - c1800. Around 1750, London witnessed the explosive circulation growth of periodicals (mostly monthlies). These magazines, generally extremely well researched, offered up-to-the-moment political/economical/social information to their well educated audience. Some of these magazines are still regularly published today. Based mostly on/around PaterNoster Row, the Gentlemen's Magazine, the Royal Magazine, the Universal Magazine, the Intelligencer, the Lady's Magazine, Town and Country Magazine, the Scot's Magazine (in Edinburgh), were the main source of information for the British elite when it came to detailing and explaining the latest developments in the far reaches of the Empire. As such, a full complement of cartographers was retained to illustrate battle accounts, town sieges, harbor blockades, and land conquests; almost in real time (for that period). Thomas Jefferys, Thomas Kitchin, Emanuel Bowen and later his son Thomas, John Hinton, John Gibson, John Lodge, John Cary, Thomas Silver, and many other of lesser reputation, participated in the effort. In most cases, the maps were of rather small format, and uncolored. A Map of Part of West Forida - 1772. This small map (13 9/16" X 7 3/8") was published in the February 1772 issue of the Gentlemen's magazine. 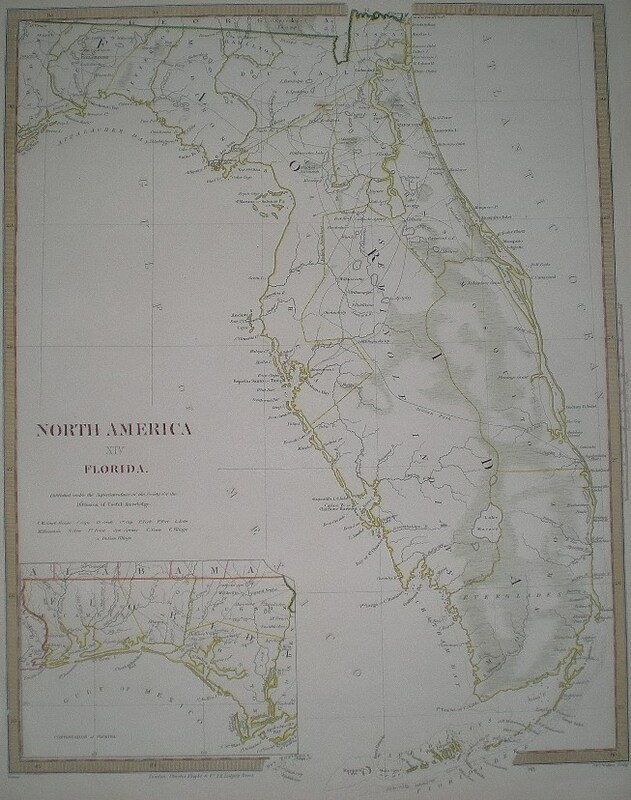 Under the British ryle (1763 -1783), Florida was split into East Florida and West Florida (which extended west from the Appalachicola River to the Mississippi/ Iberville Rivers). 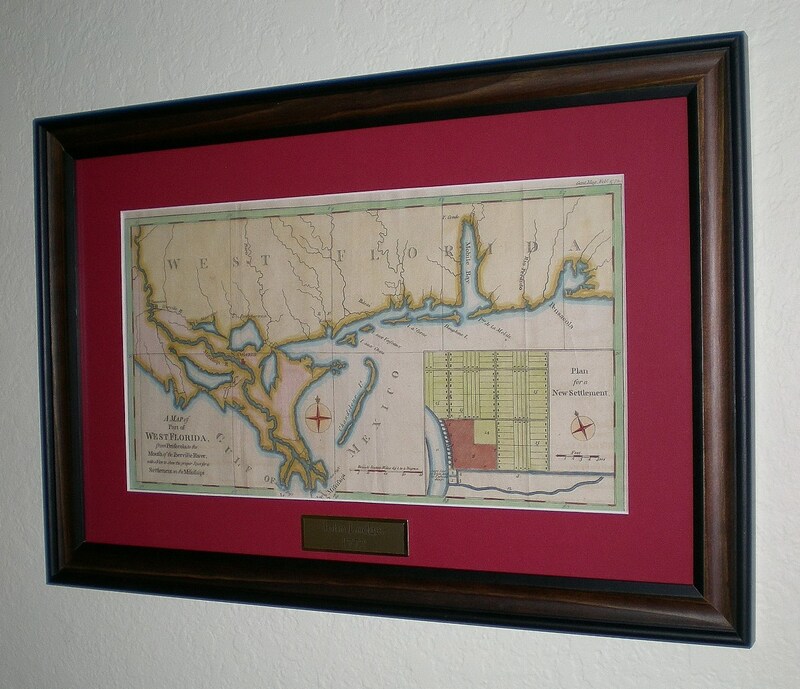 Its Capital was pensacola0 (not indicated on the map). 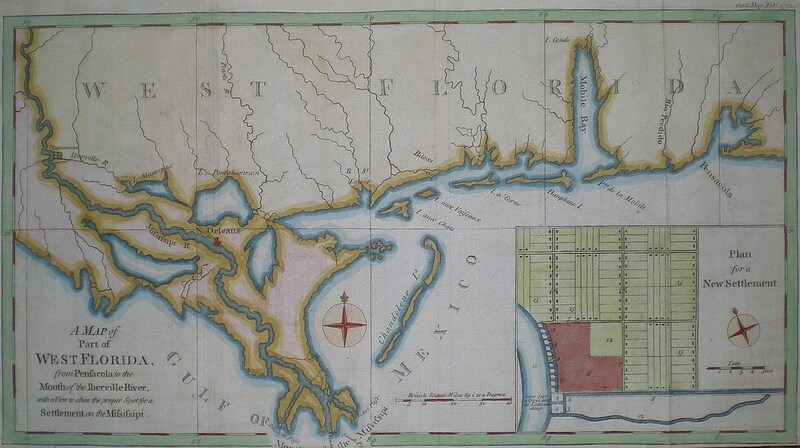 The western part (this map) was earmarked for intensified colonization, specially by establishing plantations along the Mississippi River.